Satisfy your craft brew obsession with one of the 2,960 homes on the market in the Mile High City. 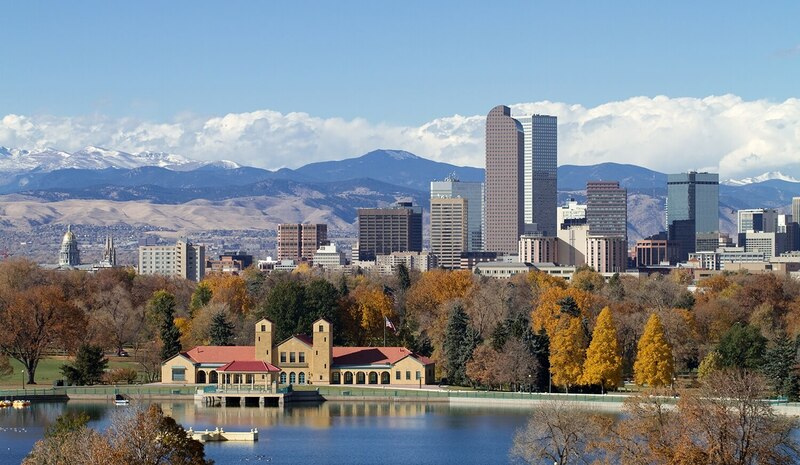 Denver, CO’s outdoor craze, scenic views of the mountains, booming job market and eclectic neighborhood scene make this Colorado capital a hotspot for real estate activity. Find a top Denver real estate agent to win your dream home and save $41,927 on average. The top 3% of Denver’s 15,203 real estate agents sell 1.8x more properties 1.4x as fast as the average agent. Work with a top agent to save 6.3% on your home purchase, that’s an extra $25,443 for family ski trips at Breckenridge. As a seller, a top agent could make you 4.7% more: $18,927 towards a vacation home on Frisco Bay. The best Denver real estate agents sell for 103.9% of the list price, while average agents only sell for 99.2%. Collaborate with the best of Denver’s agents and get $18,930 higher for your place. That cash could pay for climbing gear and equipment for white water rafting. Work with a top real estate agent in Denver, Co and expect to buy a home next to your favorite craft brewery for around 89.7% of the list price. An average agent in Mile High, however, closes for 96.0% of the list price. Maybe put the $25,390 more you save towards a new jeep. Lower Downtown is Denver’s oldest neighborhood and has stone buildings, views of highrises, and Union Station. The buzz of nightlife and roar of sports centers create LoDo’s city soundtrack. Take a stroll through the hung lights of Larimer Square and shop along the avenues. LoDo is prime for those who want to be in the center of it all. You’ll find Regis in Northwest Denver. Regis includes Regis University, Willis Golf Course, and Inspiration Point Park. A great place for students of the university or for empty nesters who want to be close to their kids, Regis is relatively quiet. You can drive downtown within 15 and still have a detached bungalow on a tree-lined street. Cherry Creek is a kid friendly, outdoorsy area with creek views and a bridge to watch the sunset from. Cherry Creek is a safe area with the Cherry Creek Shopping center for weekend errands. Take the family for a walk down Cherry Creek Trail, and finish off the day sipping homemade lemonade from your kids’ lemonade stand off your white balcony. When is the right time to hire a real estate agent in Denver? It's going to depend on the temperature of the Denver housing market but we generally recommend that you hire a real estate agent as soon as you're thinking of selling your home. Generally speaking, that's anywhere from 3 to 6 months prior to your desired move date. How important is it to hire a top real estate agent in Denver? On average, the top performing 5% of seller's agents generally command a higher selling price (+9%) than the average real estate agent. The top performing 5% of buyer's agents generally save their clients 2.5% more than the average real estate agent at closing. So, whether you're buying or selling your house, your odds of making more money on the transaction are higher if you work with a top performing agent. We encourage you to explore all of your options if you're selling a house in Denver, CO.
Why do I need to hire a licensed real estate agent in Denver? What is the average real estate agent commission for agents in Denver? While individual real estate agent commissions do vary, most real estate agents in Denver work for 6% of the home price. How do I find a real estate agent that specializes in a specific Denver neighborhood? What are the most important questions to ask when interviewing Denver neighborhood? We've put together a list of 24 questions to ask your real estate agent. Make sure to ask them of your Denver real estate agent during interviews. Why should I use HomeLight to find a Denver real estate agent? HomeLight analyzes all real estate agents in Denver to bring you custom, unbiased, data-driven recommendations. We use actual home sales transaction data to compare Denver real estate agents and will only introduce you to the top performing agents. Do these Denver real estate agents work for HomeLight? What factors does HomeLight consider when evaluating real estate agents in Denver?